I am fascinated by how Neil Gaiman’s The Sandman (and, in fact, all of the extended Sandman Universe) bridges the gap between comic books and serious literature. 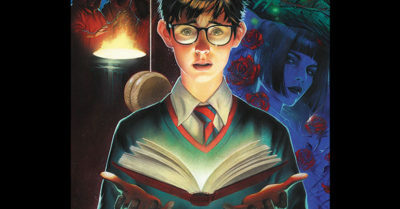 That fascination has lasted for over 25 years – almost as long as Gaiman’s reinvention of the Golden Age character has existed. Even the most-knowledgable comic fan could be forgiven for not knowing that Morpheus the King of Dreams was merely an iteration on an already-rebooted Golden Age DC hero. The original Sandman, Wesley Dodds, was a minor character who ran for seven years in the Golden Age and then popped back up twenty years later in the Earth 2 Justice Society of America in the Silver Age. Without Gaiman and Morpheus, Dodds would probably be that one JSA member whose name you could never recall. His Silver Age iteration certainly wouldn’t jog your memory – a Kirby/Simon creation meant to be Mr. Sandman who lasted just six issues and who was later retconned in Wonder Woman to be a professor lost in the world of dreams. There was no harm in Neil Gaiman revamping such a character to a more adult version early in the Post-Crisis years in 1989. 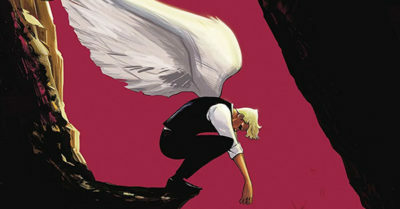 At the time, Gaiman was still a relative unknown, coming off of the slept-on Black Orchid mini-series – a similar act of excavation and reinvention. 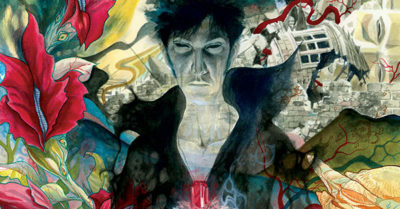 He was so used to tepid reception to his early work that he expected Sandman to run just eight issues, which is why the first eight form such a satisfying arc despite being a mix of one-shots and continuing stories. He though that would be the whole series! I’m down to just three more bricks of comic books, but this first one is huge – it’s got over a half a dozen X-Men hardcovers inside! 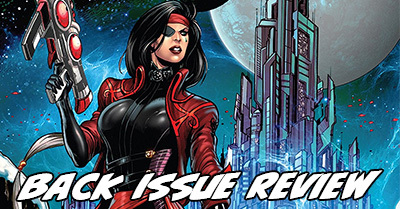 In the first of a three-part unwrapping, I dig into X-Men: Nation X and X-Necrosha, and discuss why this might be my favorite modern period of X-Men comics. Episode 80 features X-Men: Nation X and X-Necrosha, covered in guides to Uncanny X-Men and X-Force, respectively. This is the pilot for the fourth video series on my YouTube channel – Indie Series Spotlight! After months of opening my massive collection of Marvel oversized hardcovers, I realized I was really missing talking about my love of comics not released by Marvel. Since returning to comic reading in 2012, I’ve become a massive fan of independent and creator-owned comics – they occupy a full third of my comic reading time, and they dominated my list of favorite comics in 2017. In this new show, I’ll be sharing my indie comics love with you one series at a time. Each series will be something I strongly recommend to new readers – including folks who have never read a comic before in their lives! For each series, I’ll start by giving a general pitch of the title and then get into spoiler territory for readers who need even more convincing. First up: Suicide Risk by Mike Carey, Elena Casagrande, & Andrew Elder. I picked this series up out of blind devotion to Mike Carey, who I love from his work on X-Men: Legacy and Unwritten, not realizing it would become one of my favorite indie comic runs of all time! It’s hard to discuss this series’ massive scope without spoiling it, but it spans genres from police procedural to massive action movie! I hope you’ll enjoy this new show, because I’ve got over a year’s worth of indie series mapped out to discuss! Indie Comics Spotlight Episode #1 features Suicide Risk Volumes 1-6, which are currently available as part of the Comixology Unlimited library! Today I start out by talking about “the perfect weather.” If you’re the kind of person who loves it super hot on the beach or frigid on the slopes, would you really want to experience that every day? My favorite kind of day is breezy and springlike, maybe 68 to 72 degrees – and I see no problems with waking up to that every day of my life. After that, I open a massive block of oversize modern X-Men – so big I had to break it up into a pair of episodes. In this one, I start out with a pair of weirdly orphaned oversized volumes. Episode 72 features X-Men: Supernovas and Uncanny X-Men: Rise and Fall of the Shi’ar Empire, which are covered by my X-Men, Vol. 2 & New X-Men and Uncanny X-Men by Brubaker, Fraction, & Gillen guides, respectively.